A newly released memorandum from the retiring Representative Trey Gowdy (R-SC) on today's highly anticipated Inspector General Report from the Office of the Inspector General via Michael Horowitz suggests that both the Federal Bureau of Investigation and the Department of Justice dropped the ball in charging Hillary Clinton with violations of the Espionage Act. Trey Gowdy is also the Chairman of the House Oversight and Government Reform Committee, where he's already reviewed the Inspector General Report before making the following statements on his website today. 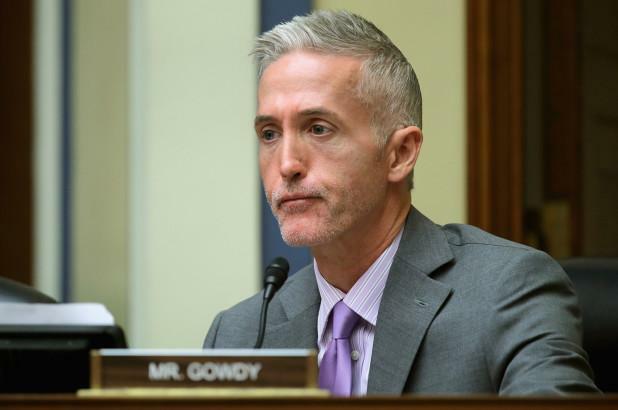 Representative Gowdy on the damage done by the FBI to its integrity. All of the statements from Trey Gowdy today are bombshells, and come after he's reviewed the Inspector General report. Simply stating that Hillary Clinton violated` the Espionage Act is brutal enough as is, not to mention that today we saw Peter Strzok emails released proving the witch hunt against the 45th President of the United States of America was indeed premeditated. This is enormous. The plot thickens. The Inspector General Report will be out any moment.